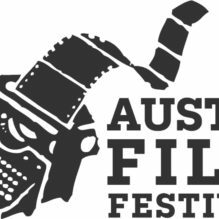 The Austin Film Festival announced to the winners of the 2017 Hiscox Audience and Courage Awards, Jury film competition award and script competition award winners. AUSTIN, Texas— November 7, 2017— Austin Film Festival (AFF), the premier Festival to recognize the writer’s contribution to film, is pleased to announce its 2017 Hiscox Audience and Courage Award Winners, Jury Film Competition Award winners, and the Script Competition winners. One film was selected to receive the Hiscox Courage Award. Voted on by the audience, the Hiscox Courage Award is presented to the film that best embodies the virtue of courage and to the filmmaker who best embraced the risk to share the story. The 2017 Hiscox Courage Award went to Coming to My Senses, directed by Dominic Gill.Coming to My Senses is a documentary feature that follows Aaron Baker, a man who faces insurmountable odds and learns to walk again after breaking his neck in a motocross accident, leaving him paralyzed from the neck down.